Theresa M. Robinson is the founder and president of Master Trainer TMR & Associates, a training consulting firm that provides corporate soft-skills training, coaching, keynotes, and management consulting services in the areas of leadership/management, communications, diversity & inclusion, wellness, presentation/platform skills, and marketing. Theresa has worked with corporate audiences from a wide range of Fortune 500 companies such as the Walt Disney Company, Procter & Gamble, Dell, GE, Allstate, Exxon Mobil, Tupperware Corporation, KPMG, AARP, GlaxoSmithKline, and the Estee Lauder Companies. Theresa’s expertise includes corporate training and consulting, keynote speaking, and one-on-one performance coaching. She has also developed training materials, designed curricula, conducted classroom and Web-based instruction and facilitation, authored book reviews, editorials, and educational materials. Her platform is based on what she terms the 3 Rs rigor, relevance, and relationships. Theresa insists that even in a society saturated with ever-growing sophisticated technology, this is still very much a relationship-based economy. This ideology has garnered Theresa high praise and many clients who, after attending her training sessions, seek her out for one-on-one follow-up coaching. Drawing from the additional commandment Jesus gave to his disciples to love one another as He has loved us (John 13:34-35), Theresa stresses to audiences that relationships remain the key to effective leadership. Theresa thoroughly prepares individuals to enhance their productivity, career potential, and life satisfaction quotient which then positively impacts the organizations bottom line. She approaches every training program and speaking engagement with careful preparation and a great deal of enthusiasm and commitment. She customizes delivery according to the needs of her audience and thrives on an interactive approach that gets audiences thinking, participating, and even laughing. You will find her drawing on all of the senses in her delivery and appealing to visual, auditory, and kinesthetic learning styles. Theresa holds a bachelors degree in English from Howard University and a masters degree in English from Cornell University where she also completed her doctoral course work. She is also a certified Christian Lifestyle coach by the SDA North American Conference. 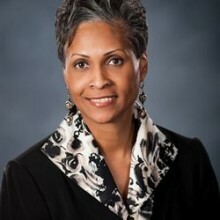 Her affiliations include organizations such as Women Unlimited, a national organization for women leaders in business; Network of Executive Women (NEW); the National Conference for Community & Justice (NCCJ); the National Conference on Race & Equality (NCORE); and INROADS, a national mentoring and intern program. A member of the American Society for Training & Development (ASTD), the National Black MBA Association (NBMBAA), and the International Alliance for Learning (IAL), she resides with her husband Mark, their two children, Baylie and Max, and their family dog, Ripley. Do you want to hire Theresa M. Robinson? Directly request a quote. In 48 hours we can send you the availability of Theresa M. Robinson If you would like to book Theresa M. Robinson, Entertainment Booking Agency is the right place. We will offer you the best price and contact the management or we directly contact Theresa M. Robinson. For corporate appearances or speaking engagements you can contact our agents and the will help you true the process. Tags: hire Theresa M. Robinson, Theresa M. Robinson booking, book Theresa M. Robinson, Theresa M. Robinson appearances, find more information on booking Theresa M. Robinson for appearances, Theresa M. Robinson speaking engagements, Theresa M. Robinson endorsements/spokesperson, Theresa M. Robinson appearance fees, Theresa M. Robinson booking agency contact info, biography of Theresa M. Robinson, Contact an artist booking talent agent find a speakers bureau that can book Theresa M. Robinson, speaker booking agency for Theresa M. Robinson, Theresa M. Robinson booking agency, Theresa M. Robinson booking for corporate event. EBA is one of the biggest entertainment booking agencies in the World. We book hundreds of celebrities, artist, athletes and speakers in a year. Important to know is that we are not claiming to be the management of Theresa M. Robinson. We are not the official agent for Theresa M. Robinson. Companies from around the globe book these artists and speakers true our company be course we have one of the biggest networks and we always have direct contact with the artist or the management. We help you to find the right celebrities for your corporate of private events. Please contact one of our agents to get free advice and we will help to get the world-famous artist on your party.